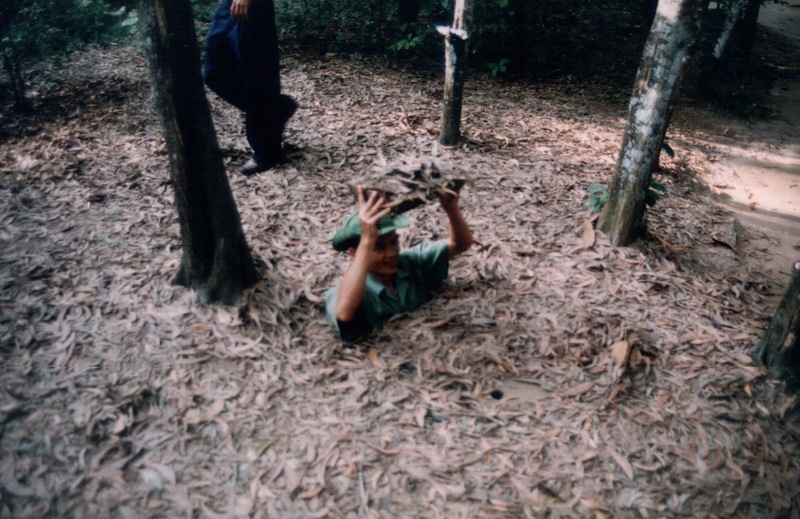 The Vietnam War was one of the most brutal and violent in recent memory, with many atrocities occuring and such as strong clash of ideological beliefs in a culmination of Cold War hostilities. 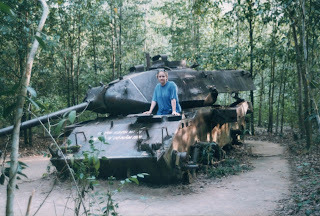 In Vietnam, I saw many remarkable things that represented this war, from bombed out valleys, the infamous China Beach near Da Nang, the former DMZ, and the headquarter cities of Saigon and Hanoi. 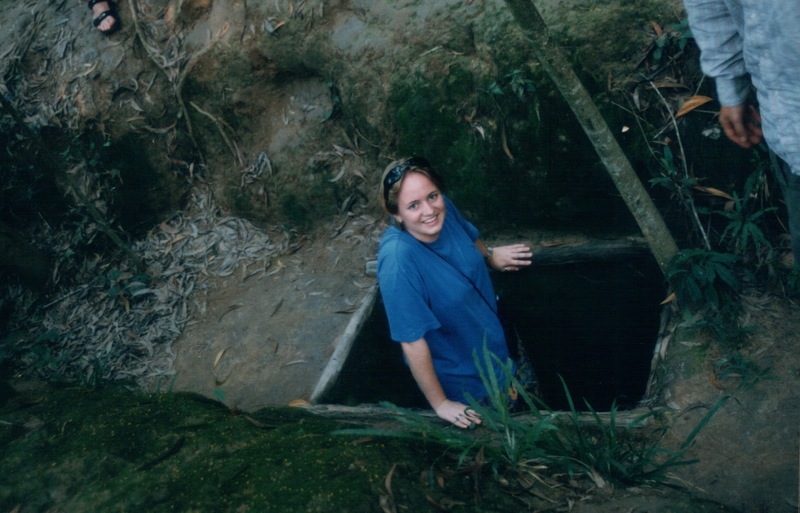 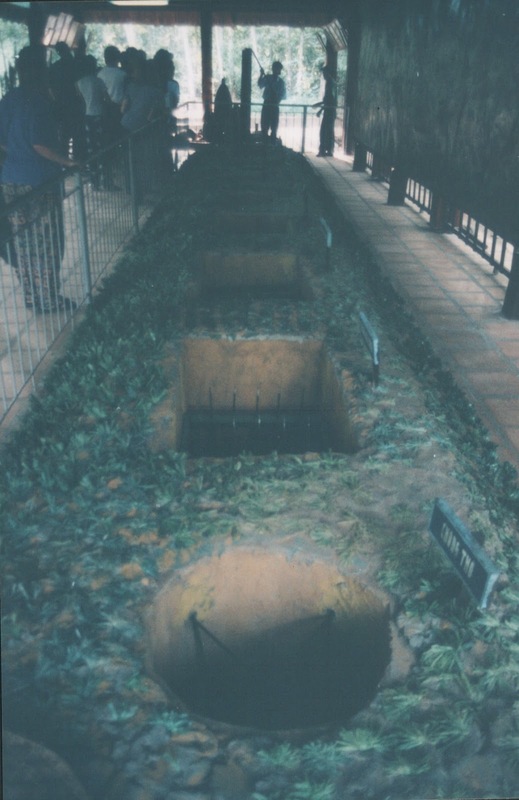 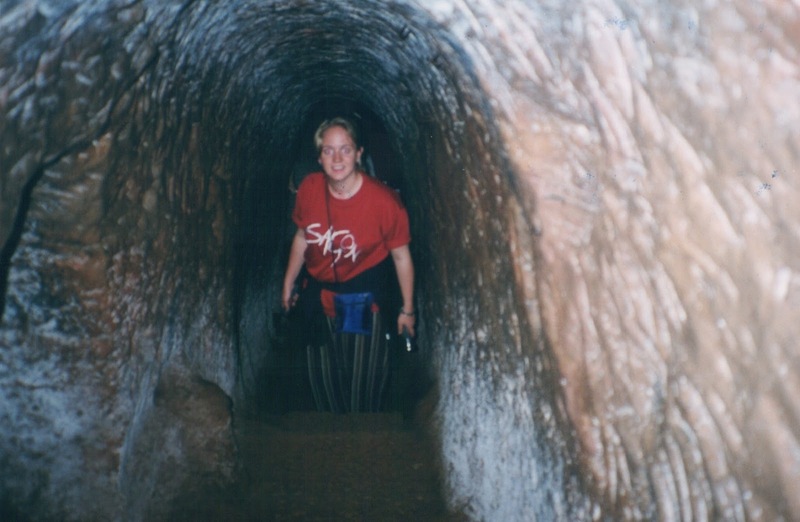 However one of the most interesting features was the Cu Chi tunnels, a collection of the tunnels for tourists to see and get an idea of what covered vast amounts of territory and contributed enormously to the guerilla warfare -- in particular it was the base of the Viet cong during the Tet Offensive. Used for communication, supply, hospitals, storage, homes and means of movement, they were a very developed system. Despite being important to their resistance against the Americans, life in the tunnels was not particularly pleasant, as life underground with a plethora of tropical pests in abundance, and the other major killer: malaria. P.S. This is also one of the only posts on my blog where I am actually in the photos, which gives you a very accurate indication of how old the photos are! Vietnam is a great place for you to experience your trip.Vietnam food culture is also very famous in the world.